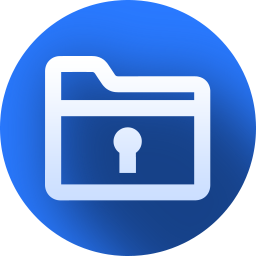 Back up any crucial data and protect them in a safe way. 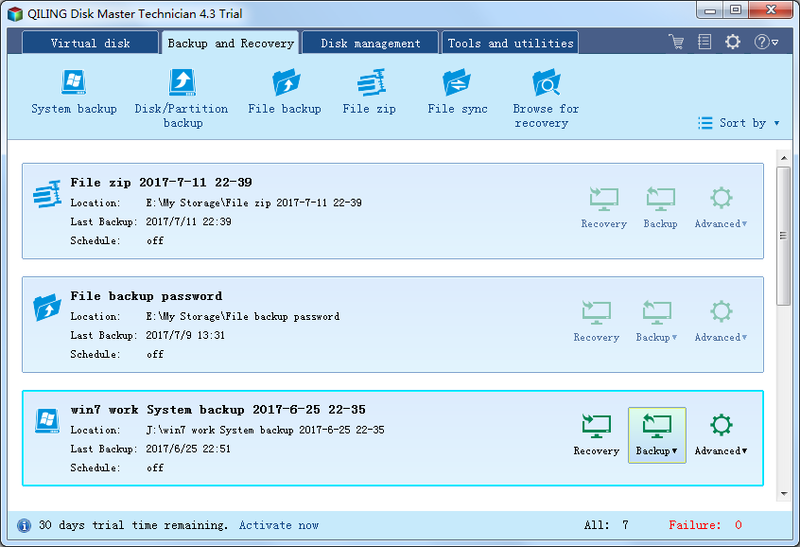 QILING Disk Master Pro 4.3.7 was available as a giveaway on March 3, 2018! aiming to improve the performance and security of your computer. It ensures your system and data are protected as well as can be restored rapidly in the event of disaster; In addition, It also supports creating a ramdisk, checking hard disk's health, doing partition management, and so on. 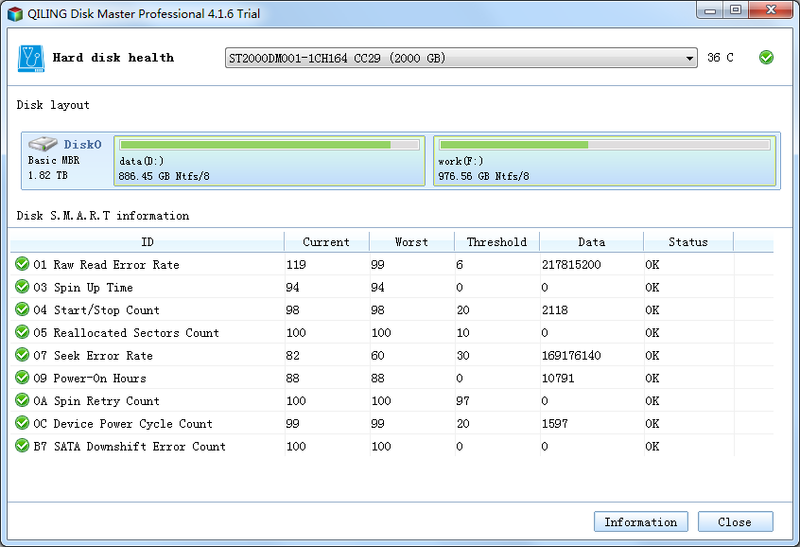 How would you improve QILING Disk Master Pro 4.3.7? 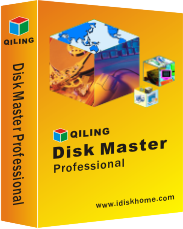 QILING Disk Master Technician is complete toolkit to simplify partition manager and migrate OS and backup & recovery software for IT administrator, technicians and consultants. With simple and easy-to-use interface, anyone, even non-technical users, can protect all of critical business data in minutes to ensure business continuity without having to need an expert. Downloaded and installed but image seems to be small with so compression. Also, did not have checking of image on completion. My feeling is that EASEUS is better. I have been using AOMEI for years and it was very reliable --- able to backup and run Win 7 on a totally different computer, but in the last year I kept getting a 4098 error and despite paying for Pro no usable answer from them, so I am sticking with EASEUS. any part of this software likely to restore a flash drive that's gone haywire? I am very disappointed as I cannot burn a bootable disk on my windows 10 64 bit machine. Despite my several attempts it is persistently coming up with an error message saying that there is a problem with AIK and is asking me to reboot the computer and try again. None ot these attempts were successful. I even downloaded and installed the newest ADK, but to no avail. I am still getting the same error message. Without a bootable disk this program is useless to me. Uninstalled. I am very disappointed as I cannot burn a bootable disk on my windows 10 64 bit machine. Despite my several attempts it is persistently coming up with an error message saying that there is a problem with AIK and is asking me to reboot the computer and try again. None ot these attempts were successful. I even downloaded and installed the newest ADK, but to no avail. I am still getting the same error message. Without a bootable disk this program is useless to me. Uninstalled. For clarity's sake, I should have said: " I cannot create a bootable disk..."
consuella, For clarity's sake, I should have said: " I cannot create a bootable disk..."
Downloaded directly to computer. Ran setup.exe Box popped up. Went to readme.txt file and clicked on link. Filled out form including my email address. Received licence code in my email with name - support@idiskhome.com Copied and pasted licensce into popup box (take dot off end!) Clicked next Had to select my own backup location I clicked on windows c:\ twice to bring up drop down box. Chose location and changed backup file name to My Backup File. Program downloaded to my computer. Okay here goes... Downloaded directly to computer. Ran setup.exe Box popped up. Went to readme.txt file and clicked on link. Filled out form including my email address. Received licence code in my email with name - support@idiskhome.com Copied and pasted licensce into popup box (take dot off end!) Clicked next Had to select my own backup location I clicked on windows c:\ twice to bring up drop down box. Chose location and changed backup file name to My Backup File. Program downloaded to my computer. Hope that helps. Downloaded, installed and registered no problem ... But straight away I had issues with this software. When installing I opted to have the program installed on my D:\ drive which is where I install all my apps, C: is a SSD and used only for system files, yet it went ahead and installed itself on C: it also created a folder MY STORAGE on another drive and when I tried to change the drive destination it defaulted back to the one it had setup during install. It's machine and I should have complete control over where software is installed to and where folders are created. I tried uninstalling and reinstalling again to the drives of my choosing but it ignored me and installed to the default settings. If it won't let me define where it installs then it is not to be trusted. Didn't waste time trying this out and uninstalled. Word to the developer customers should be given the flexibility to install software on the drive of their choice and likewise for additional folders. Robert, I installed on my E:\ drive and the folder My Storage is on E drive as well. I didn't have a problem, just put in E and it set up the folder names without trouble. I am running Win7 pro so I don't know if that is an issue with yours or not. No registration come back. D/L this morning and still no code. Not sure what is going on. Installed 15 minutes ago and no activation code. Will uninstall this. I don't have problems getting activation with any other software so this is just a waste of time. link download 1 s , ask first name, name and mail 15s ...I am still waiting. In french :" Piège à cons"
Ok this is getting pathetic. I received my license code fast, however I got a bit ticked after reading through it. It states " It is no free updates." which is fine by me as the next line says " 1-computer lifetime license, for home use." but the next line is the kicker "It cannot be registered after promo ends." If that is the case, as it is with most of the GOTD software, WTH tell us that it a lifetime license when you revoke that permission in the very next line?? No free updates means we are stuck with current version, BUT lifetime license usually means forever. I have no qualms at all using a product, at it's current level, forever (I am using a few programs issued back in 2013 that work great..by-passed their updates so far) and if I want updates I will purchase the newer version. BUT dont tell people it's lifetime license, WHEN IT ISN"T!! Ok this is getting pathetic. I received my license code fast, however I got a bit ticked after reading through it. It states " It is no free updates." which is fine by me as the next line says " 1-computer lifetime license, for home use." but the next line is the kicker "It cannot be registered after promo ends." If that is the case, as it is with most of the GOTD software, WTH tell us that it a lifetime license when you revoke that permission in the very next line?? No free updates means we are stuck with current version, BUT lifetime license usually means forever. I have no qualms at all using a product, at it's current level, forever (I am using a few programs issued back in 2013 that work great..by-passed their updates so far) and if I want updates I will purchase the newer version. BUT dont tell people it's lifetime license, WHEN IT ISN"T!! I will stop using Giveaway of the Day ( after about 5 years) because I do not have Facebook and have not yet gotten any links by email since this new process has started. I'm just tired of trying to download with no success. Bob, Try this "trick", click on the Download link, when the Post to Facebook window opens simply close the window via the "X" button in the upper right corner, the button will change to start the download. Thanks for the response. Maybe gmail is blocking. I'll check. buckoooo, Thanks for the response. Maybe gmail is blocking. I'll check. Don't you have a "throw away" facebook account? Its a sorry world when you afe forced to create an account on that crappy site, but nobody is forcing you to tell the truth in your profile. Funny thing, when I click on the forced link to share, I have my settings so only I can see it. There is absolutely no point in sharing, but it makes installing software instant and they don't get my email address. I have a yahoo junk address that as well, they too ate garbage, so that is what I send them. Take ten minutes, set up a dummy account and never have to wait for email download links ever again. If you are going to stop using this site, do it because most programs are not free at all, only extended trial periods, that is even more annoying than facebook being required. I have thought about stopping as well, but every now and again, we get a truly good program that is actually free, that is why I am still here after five years myself. Bob, Don't you have a "throw away" facebook account? Its a sorry world when you afe forced to create an account on that crappy site, but nobody is forcing you to tell the truth in your profile. Funny thing, when I click on the forced link to share, I have my settings so only I can see it. There is absolutely no point in sharing, but it makes installing software instant and they don't get my email address. I have a yahoo junk address that as well, they too ate garbage, so that is what I send them. Take ten minutes, set up a dummy account and never have to wait for email download links ever again. If you are going to stop using this site, do it because most programs are not free at all, only extended trial periods, that is even more annoying than facebook being required. I have thought about stopping as well, but every now and again, we get a truly good program that is actually free, that is why I am still here after five years myself. Hope that helps. ability to add to dvds or external hard drive in case of system failure. Read #21 as well. I installed this is a win7 32 bit VM in mid February out of curiosity -- the longer than usual list of features was/is interesting. Installation isn't bad for this sort of app, with files in the program's folder & in the ProgramData folder, plus a couple of drivers, one of which has its installation or setup files copied to C:\Windows\ System32\ Driverstore\ FileRepository. It's not bad either when it comes to the registry. It does use a machine ID for activation -- hopefully QILING Disk Master Pro won't deactivate in Win10 after the upcoming version upgrade, but it will be something to check if you install it in 10 [the data used to create a machine ID can include stuff that changes when you upgrade win10 versions, & I have had software that uses a machine ID deactivate after the upgrade]. That said, I never have installed it in a regular [non-VM] copy of Windows & run it through it's paces because I have an embarrassment of riches when it comes to this sort of software. I've got some from EaseUS from old giveaways that still works [though some of their stuff deactivated]; I've taken advantage of AOMEI's generous giveaways whenever they're available; I keep the Eassos apps that were given away on hand, because like some AOMEI stuff they work portably; I use Macrium Reflect Free [the paid version is a bit expensive for me] because that works well with a couple few devices; I bought Paragon Hard Disk Mgr. 16 on sale cheap when it was 1st released -- its bootable USB sticks seem to have the biggest set of features. If you give QILING Disk Master Pro a try -- no reason not to unless like me you have a bunch of these apps already -- Do Test the bootable USB stick if you create one. [Note that on some win10 devices you have to go through Windows or shift + click the off button on the login screen to get to the boot menus, where you'll find the option to reboot into the bios setup, where you set the device to boot from USB by setting that as the 1st place to look for boot files.] I've found that the bootable USB sticks created with the majority of these apps does not work on some of our devices. Macrium Reflect is the best I've found in that regards -- Paragon's USB sticks now work in everything we have, but backup & restore booting to USB is Much slower than using Macrium Reflect. If you want to enable QILING Disk Master Pro's "Pre-OS recovery environment" -- this sort of thing is normally the software thay'd put on a bootable USB stick, only stored on your hard drive --- it might be a good idea to grab a copy of the free EasyBCD... Besides being an occasionally handy and portable app, it'll let you back up the boot menu & restore it if needed. I installed this is a win7 32 bit VM in mid February out of curiosity -- the longer than usual list of features was/is interesting. Installation isn't bad for this sort of app, with files in the program's folder & in the ProgramData folder, plus a couple of drivers, one of which has its installation or setup files copied to C:\Windows\ System32\ Driverstore\ FileRepository. It's not bad either when it comes to the registry. It does use a machine ID for activation -- hopefully QILING Disk Master Pro won't deactivate in Win10 after the upcoming version upgrade, but it will be something to check if you install it in 10 <i>[the data used to create a machine ID can include stuff that changes when you upgrade win10 versions, & I have had software that uses a machine ID deactivate after the upgrade]</i>. That said, I never have installed it in a regular [non-VM] copy of Windows & run it through it's paces because I have an embarrassment of riches when it comes to this sort of software. I've got some from EaseUS from old giveaways that still works [though some of their stuff deactivated]; I've taken advantage of AOMEI's generous giveaways whenever they're available; I keep the Eassos apps that were given away on hand, because like some AOMEI stuff they work portably; I use Macrium Reflect Free [the paid version is a bit expensive for me] because that works well with a couple few devices; I bought Paragon Hard Disk Mgr. 16 on sale cheap when it was 1st released -- its bootable USB sticks seem to have the biggest set of features. If you give QILING Disk Master Pro a try -- no reason not to unless like me you have a bunch of these apps already -- Do Test the bootable USB stick if you create one. <i>[Note that on some win10 devices you have to go through Windows or shift + click the off button on the login screen to get to the boot menus, where you'll find the option to reboot into the bios setup, where you set the device to boot from USB by setting that as the 1st place to look for boot files. ]</i> I've found that the bootable USB sticks created with the majority of these apps does not work on some of our devices. Macrium Reflect is the best I've found in that regards -- Paragon's USB sticks now work in everything we have, but backup & restore booting to USB is Much slower than using Macrium Reflect. If you want to enable QILING Disk Master Pro's "Pre-OS recovery environment" -- this sort of thing is normally the software thay'd put on a bootable USB stick, only stored on your hard drive --- it might be a good idea to grab a copy of the free EasyBCD... Besides being an occasionally handy and portable app, it'll let you back up the boot menu & restore it if needed. The best soft for RAM Disk function. This soft run stably and quickly and now I do not care about cleaning temporary files. Thank you for your giveaway. specs look quite impressive even for the free edition, way better than yesterdays java offering. One thing lacking, apart from the poor license distribution for the giveaway, is the ability to restore a system image to a virtual PC with the necesary drivers injected for the various virtual platforms for when the motherboard dies and no similar replacement is possible or desirable but the system is still wanted to run on newer hardware as a virtual machine rather than taking it over completely, especially since some new generations of processors are only formally supported by windows 10 and cannot work properly using windows 7 or 8.x versions of windows so older systems backups cannot be migrated to the most modern hardware. Maybe the developer could consider research into this for future versions. If it helps at all, using VirtualBox, I've found that XP & Vista do not migrate well at all -- I've not yet tried it with win7 [have had no reason to]. With XP I gave up, instead going through a rather convoluted process to get the XP Mode version from win7 running, activating it with my existing XP Pro key number, then adding the software I needed. [I could have installed XP fresh of course, but **think** the XP Mode version is modified to run better in a VM.] Vista is a bit better, but still lots of work removing things like the graphics card app etc., trying but not quite succeeding to get it running somewhat near as well as just installing Vista to the VM in the 1st place. The driver part was surprisingly the least of my issues. While of course mileage may vary, I had *slightly* better results creating the dynamically expanding VHD, restoring a image backup from the old install on hardware, creating a new V/Box VM using that VHD, attaching the setup DVD or ISO set to be 1st boot, & doing a repair install. 2nd best was using an ISO [rather than USB stick] with the Paragon utilities from their Hard Disk Mgr. 14 Pro, using the migration utility the same as I would if I was adapting Windows to new hardware. At any rate, while the migrations worked of a fashion, originally they did not work well at all, & after substantial work, I've never been able to get the performance level to match installing to the VM from scratch. But that's me -- you might have better luck than I did. TK, If it helps at all, using VirtualBox, I've found that XP & Vista do not migrate well at all -- I've not yet tried it with win7 [have had no reason to]. With XP I gave up, instead going through a rather convoluted process to get the XP Mode version from win7 running, activating it with my existing XP Pro key number, then adding the software I needed. <i>[I could have installed XP fresh of course, but **think** the XP Mode version is modified to run better in a VM. ]</i> Vista is a bit better, but still lots of work removing things like the graphics card app etc., trying but not quite succeeding to get it running somewhat near as well as just installing Vista to the VM in the 1st place. The driver part was surprisingly the least of my issues. While of course mileage may vary, I had *slightly* better results creating the dynamically expanding VHD, restoring a image backup from the old install on hardware, creating a new V/Box VM using that VHD, attaching the setup DVD or ISO set to be 1st boot, & doing a repair install. 2nd best was using an ISO [rather than USB stick] with the Paragon utilities from their Hard Disk Mgr. 14 Pro, using the migration utility the same as I would if I was adapting Windows to new hardware. At any rate, while the migrations worked of a fashion, originally they did not work well at all, & after substantial work, I've never been able to get the performance level to match installing to the VM from scratch. But that's me -- you might have better luck than I did. mike, I found XP remarkably easy using paragons virtulization manager given away here a couple of times my favorite one was https://www.giveawayoftheday.com/paragon-virtualization-manager-2010-personal-english/ and a few of their other products had OS adjust of different types. I used it to virtualise several XP delphi and dbase development environments into virtual machines so the old lenovo pentium 4 desktop units could be retired without rebuilding the dev environments. The re-activation was easy since the license keys on the COA stickers had never been used so could be used to activate them under the virtual environment. I also used same tool to migrate another single core lenovo XP desktop to a modern (at the time) quad core machine that was vista based and again used the COA key to activate it on the new hardware. Doing the adjustments manually is unecesarily hard work! I used a temporary E-mail address, and I never received the licence code. So I switched to a Gmail address, and it worked. To receive the code, simply create a temporary Gmail address, others won't work. I used a temporary E-mail address, and I never received the licence code. So I switched to a Gmail address, and it worked. To receive the code, simply create a temporary Gmail address, others won't work. Why not use a "temporary" facebook account ?! For anyone that hasn't got a key yet make sure you don't have any capital letters in your email. I tried getting a key three times and on the third try I had everything in my email lower case and it finally sent me a key. Maybe that has something to do with how registration happens on their server. Just thought I would share. Why bother with this when Macrium is totally free and works every time? Yes, Macrium Reflect Free and the paid version are both great apps. The free version of Macrium Reflect however does not offer anywhere near the feature set of QILING Disk Master Pro, and their paid version is also much less $ if you want to support the dev, need a commercial license etc. Some people might also have issues with Macrium Reflect's GUI or interface. I know it's not my favorite in that respect, but oh well, still use it on those devices where it works better than alternatives, and am thankful for the Macrium Reflect devs for their generosity. bonefone, Yes, Macrium Reflect Free and the paid version are both great apps. The free version of Macrium Reflect however does not offer anywhere near the feature set of QILING Disk Master Pro, and their paid version is also much less $ if you want to support the dev, need a commercial license etc. Some people might also have issues with Macrium Reflect's GUI or interface. I know it's not my favorite in that respect, but oh well, still use it on those devices where it works better than alternatives, and am thankful for the Macrium Reflect devs for their generosity. Used a .co.uk address for the key - NO emails aftert 3 hours, although the page said that it had been sent. Switched to a gmail.com address and received a code within 10 minutes. IS this an undocumented restriction, or WHAT??? Used a .co.uk address for the key - NO emails aftert 3 hours, although the page said that it had been sent. Switched to a gmail.com address and received a code within 10 minutes. IS this an undocumented restriction, or WHAT??? After installing the program if you have windows 10 and you want to create an "emergency disk" with it you must install the last version of User "Experience Virtualization (UE-V) for Windows 10", and the program does not talk about it. It refers only to previous versions of Windows and asks for installing AIK or ADK Microsoft's tools. After installing the program if you have windows 10 and you want to create an "emergency disk" with it you must install the last version of User "Experience Virtualization (UE-V) for Windows 10", and the program does not talk about it. It refers only to previous versions of Windows and asks for installing AIK or ADK Microsoft's tools. Someone asked a handy question earlier, and I didn't see it answered. If you use this to back up your system, and have a system failure, if this is a GOTD, then it's dead when your system is dead, how are you able to restore with it? Thank you. That is why I wrote my 3 previous comments. After installing the program you have to create a bootable emergency disk and the program has a tool to create it. Karen, That is why I wrote my 3 previous comments. After installing the program you have to create a bootable emergency disk and the program has a tool to create it. Karen, You must not know how backups work if a back up is good enough like AOMEI BACKERUPPER And i have the pro witch was a giveaway and when I got a new computer I used the backup witch restored my registry including all programs witch had been registered previous and i was up and running in no time. so have a crash and restoring your backup would do the same that is if you backed up your whole computer like i did would pit everything back like it was from the date you did the backup and i don't see a problem with this program not working then. Damo, Actually I know exactly how backups work, but just wanted to make sure a giveaway version of a program would actually have something built in that even if the original program got trashed in the crash, that it would have been able to create something during the original install that would make the program functional again to be able to DO the restore. And I've since read that it does, so it's fine. I still didn't receive the key for registering this product, tried 6 times from last 1 hour. Try a different email provider. Many a time this solves the problem. Krzysztof , Try a different email provider. Many a time this solves the problem. Powodzenia. Installed OK - so far full marks, looks useful. no code sent yet to activate after 35 min. free version does alot. in case update and loose lic. or expires. I'm already signed up for the newsletter. Been using the site for years. Still not received any activation code. My experience with QILING Disk Master Pro: I tried this software the last time it was offered to backup and restore my Windows 10 pro system image. The backup function was successful but the restore function was unreliable. Sometimes it was able to restore wonderfully, at other times, the program crashed. Uninstalled and reinstalled, the same result. I will pass on this one for now until I read more positive reviews. I need a reliable backup/restore program. Thanks for the many programs you offer for free GOTD. Marianne, I noted that there will be no response if you place an initial instead of your full first name. If you did not get the key fill in the form again with no non-English characters in the name - that is what I did and worked. Still didn't receive the key for registering this product, have tried many times for it but still has no respond in my email. me too! Used 3 different email addresses and have waited an hour and a half for a code! jefry, me too! Used 3 different email addresses and have waited an hour and a half for a code! Doesn't inspire confidence, does it? maybe they await you sign in Chinese..? Waiting for an email from Qiling for more than 1 hour and with no result..! ChrisH, Me too, since I just got a new computer and need one of these backups. Totally out of all my GAOTD goodies. Really miss Zentimo and Aston 2. Hope this comes through. ChrisH, Just received mine after I put in for it again. Third time, but it immediately came through. Hope it is worth the wait. My problem with these back up programs starts when you need to recover, do you need a full version of this software at a later date when you try to recover the back up files after a major crash?? I still didn't receive the key for registering this product, tried 2 times from last 1 hour. Can someone help in this..! I still didn't receive the key for registering this product, tried 2 times from last 1 hour. Can someone help in this..! Thanks, Now I have received the key...! Rob, Thanks, Now I have received the key...! Using 10 std x64 (v1709b16299), DEP always on, UAC enabled with max level, custom scaling 150%, resolution 1920x1080, color depth 32bit, refresh rate 60Hz, Win10 Defender, Win10 firewall. No problems detected by WinDefender, SAS, MBAM3, EEK, virustotal. No problems during software download, during its installation, at its startup and changing its options. Unlimited license for home users, but can't be updated. Thanks to GAOTD and QILING teams! Hi everybody. :-) Using 10 std x64 (v1709b16299), <b>DEP always on</b>, <b>UAC enabled with max level</b>, custom scaling 150%, resolution 1920x1080, color depth 32bit, refresh rate 60Hz, Win10 Defender, Win10 firewall. <b>No problems</b> detected by WinDefender, SAS, MBAM3, EEK, virustotal. <b>No problems</b> during software download, during its installation, at its startup and changing its options. Unlimited license for home users, but can't be updated. Features: http://www.idiskhome.com/main/product_pro_feature.shtml Comparisons between their versions: http://www.idiskhome.com/main/product_pro_comp.shtml Thanks to GAOTD and QILING teams! xilolee, TMI. No GAOTD apps can be updated unless you pay.